Disappearing Gutters at 117 E Bergen Ct. Nags Head, NC 27959 | ABC Seamless of the Albemarle & Tidewater Inc. Ever wondered how to get the gutters you need to protect your cottage without ruining the view you love? 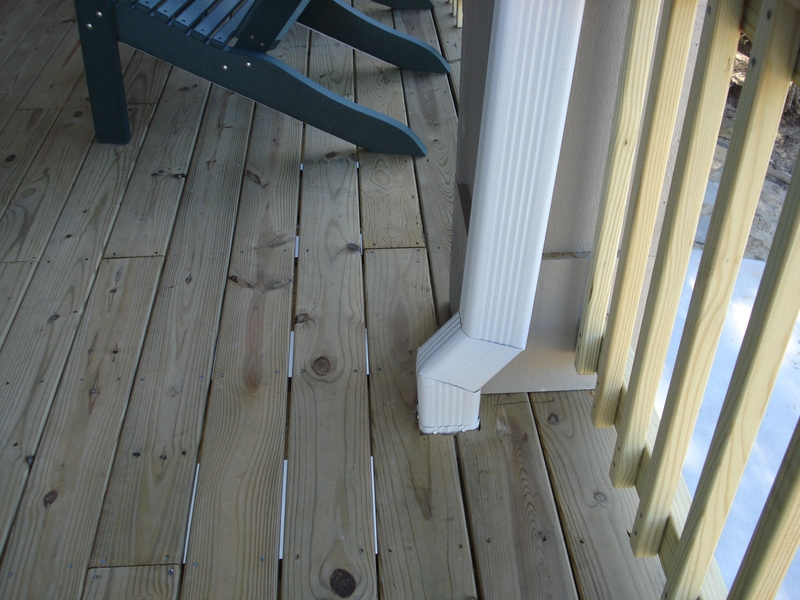 ABC Seamless Gutters can be shaped to fit your home and deck. 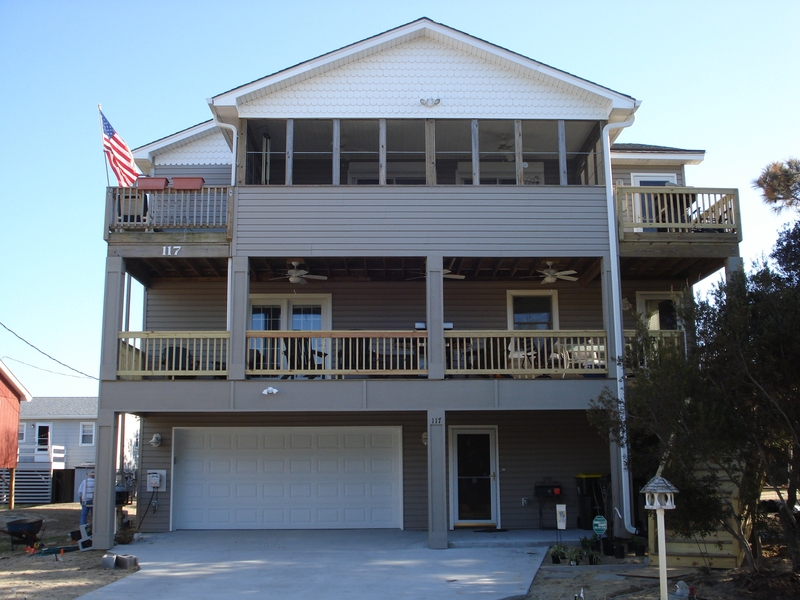 One story, Two, More, Decks, Screenrooms, Sunrooms, are not problem with the ABC Seamless Gutter system. Our installers are trained to handle anything.